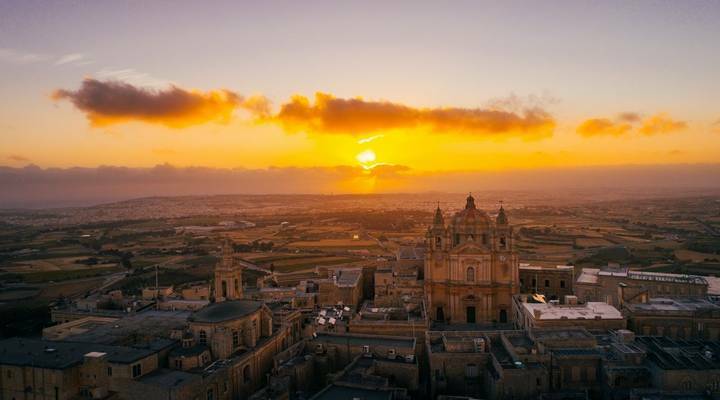 Nine miles long and only four wide, Gozo punches far, far above its weight. On this tiny island, you’ll find activities, history, tradition, gastronomy, archaeology, mythology and far more besides. Malta has long been a popular holiday island. However, its smaller neighbour, Gozo has not attracted the same sort of attention and is all the more interesting for its relative anonymity. At the risk of sounding terribly clichéd, Gozo has retained its own very strong identity. This is personified by the characters you’ll meet during your stay. For example, as you wander the streets of the capital Rabat, you can drop in on fourth generation family bakers George and Michael Portelli and sample the best biscuits on the island. As your meanderings continue you’re very likely to meet Antoinette who sits sheltered from the sun as she plies her lace making trade. Many of our staff members have spent a lot of time on this very special island as the people and the place just keep drawing you in. We’ve created a fantastic adventure on the island based on our experiences. Our Capturing Gozo on Camera holiday is dedicated to the art of photography and you will enjoy the sights and sounds of this magnificent island in the company of a professional photographer. This 7-night active learning holiday highlights the landscape in a variety of ways as you explore the culture, the must-visit sites, taste local wines and choose from a range of optional activities. Gozo changes colour as the year progresses. The spring months bring some rainfall which turns the island into a verdant and highly productive garden. Growers here make the absolute most of these months because the summers are extremely hot and the land slowly turns from green to light brown as the sun intensifies. Sun worshippers will love July and August but if you prefer cooler temperatures for your holiday, we recommend avoiding the height of summer. We run our holiday here from March through to September and those cooler earlier months are very popular. Spring and early summer bring a freshness and vibrancy to Gozo that is not always present in the longer and hotter days of summer when the island is a pretty laid-back place. The Mediterranean views here are simply spectacular and a photographer’s dream. The secret is to capture the morning sunrise and evening’s sunset on the same day. It’s easily done, Gozo’s widest point is a mere 14km so getting from east to west in the intervening hours between sun up and sun down isn’t the most demanding of tasks! Our holiday is based in the village of Xaghra. The accommodation is just a short walk from the lovely town square which is dominated at one end by a large basilica, while cafés and restaurants line the walkways. It’s a lovely, lovely place to relax and unwind after a day exploring the island. Activities, history (ancient and modern), photography, gastronomy, culture wine and even mythology are all in evidence on the island of Gozo. For such a small island it is absolutely packed with things to see and do; here are a few of our particular favourites. The island has been occupied for a very, very long time and there are many vestiges of the recent and the not-so-recent past. The Ġgantija temples near Xagħra pre-date the pyramids! Not surprisingly, the temples which were constructed around 5500 years ago have been granted UNESCO World Heritage Site status and of course both of our holidays to the island stop here. Food and drink play a huge role in Gozitan life and the words artisan and local are at the forefront of the island’s gastronomy. Unsurprisingly, the cuisine is heavily influenced by its Mediterranean location between Europe and North Africa. Everything is seasoned with salt collected from the 350-year-old pans at Qbajjar Bay. Our Managing Director reckons it’s the best salt in the world - he’s a bit like that, a real food snob! Fish and meat are naturally popular choices and are cooked to perfection with locally gathered herbs. Rabbit is particularly popular and should be accompanied by one of the splendid local wines.